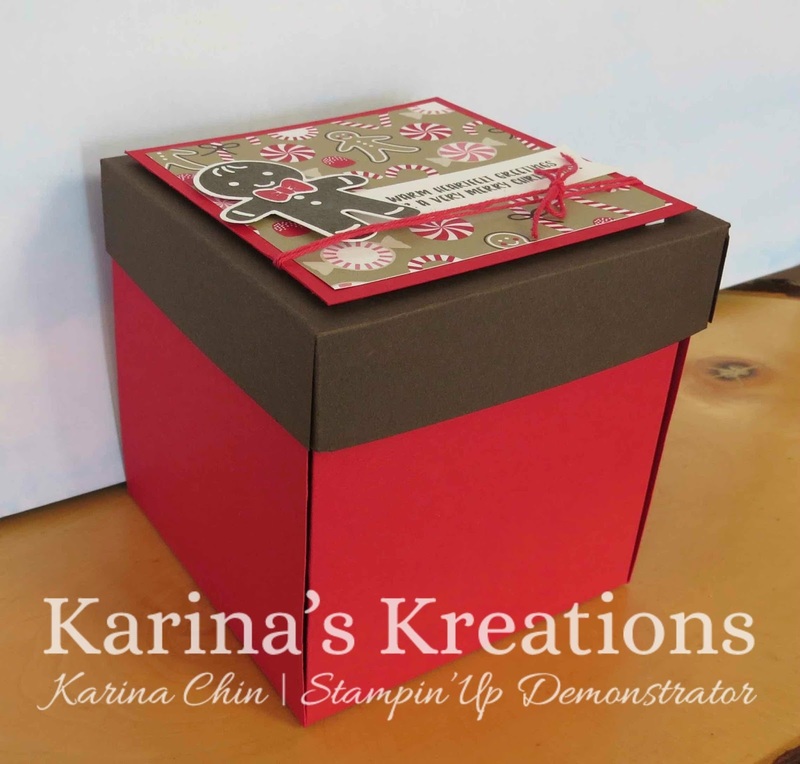 Karina's Kreations: Cookie Cutter Christmas Explosion Box! Cookie Cutter Christmas Explosion Box! I demonstrated this fun project at my Creative Day Getaway event.The pictures don't do it justice. It's so cute!!!! 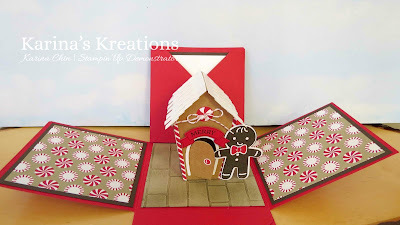 This is an explosion box that holds the a house made with the Sweet Home stamp set and Home Sweet Home Thinlits Dies. I highly recommend this bundle. There are so many fun projects that you can make with this set. I designed this project to hold a gift card. Imagine opening this Christmas morning! We'll make this project at my class on October 14. Email me at kchin2@telus.net if you want to attend.